The Monarch butterfly's two antennae, and its two palpi (appendages on the lower jaw, also called feelers), give the insect a sense of smell. Image source: Allen Montgomery, U.S. Fish and Wildlife Service. 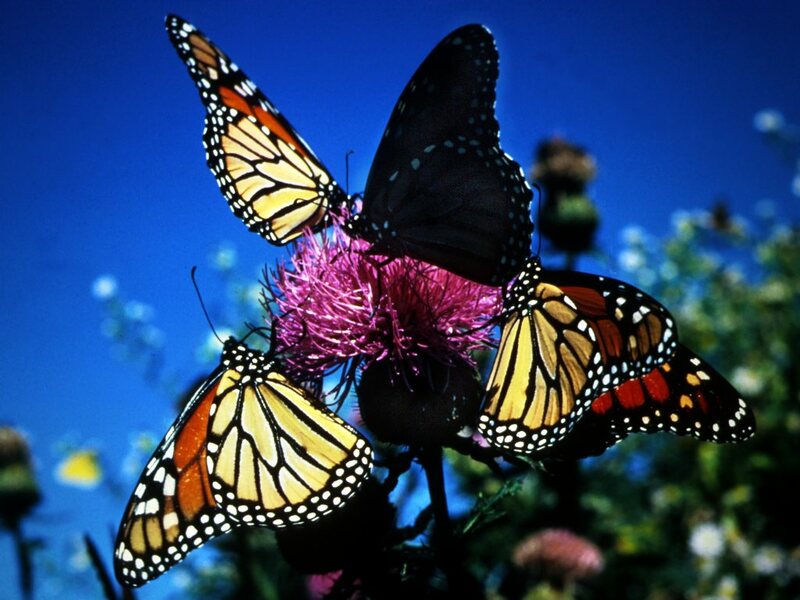 Monarch butterflies feeding on a thistle flower. Select the size that best fits your desktop.